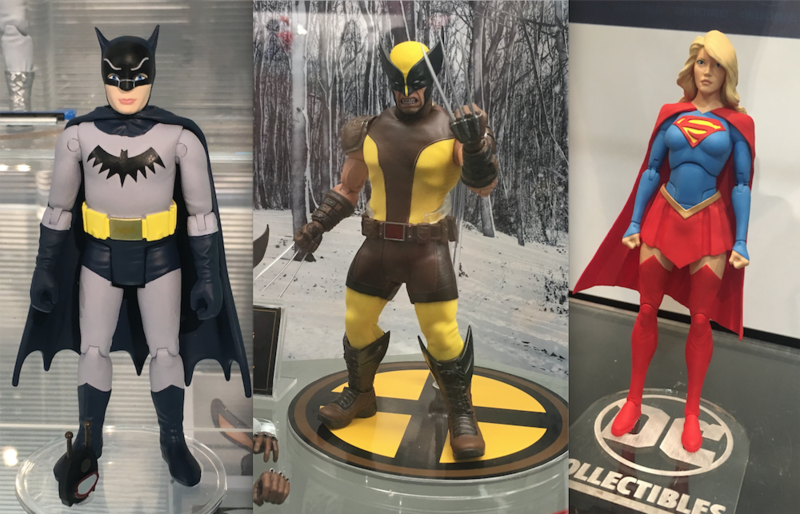 Your gateway to all our Toy Fair coverage. Toy Fair is all about fun. It’s a celebration of all those things that celebrate your love of comics, movies, TV and video games. — FUNKO’S New BATMAN ’66 Line Wins TOY FAIR 2017! Click here. — FUNKO Goes All in With Its New BATMAN ’66 Action Figure Line. Click here. — The JAMES BOND Action Figures You’ve Been Waiting For, from BIG CHIEF STUDIOS. Click here. — EXCLUSIVE: Major 1966 BATCAVE Update From FACTORY ENTERTAINMENT. Click here. — STAR TREK Bendables Are Coming From NJ CROCE. Click here. — ROBIN Will Be the Next BATMAN ’66 Statue From DIAMOND SELECT. Click here. — SUPER7: The Revival of the PLANET OF THE APES. Click here. — NEAL ADAMS Celebrates Toy Fair With a Special Exhibit of His SUPERMAN VS. MUHAMMAD ALI Original Art. Click here. — The BIF BANG POW!/ENTERTAINMENT EARTH Report. Click here. — The DC COLLECTIBLES Report. Click here. — The DIAMOND SELECT Report. Click here. — The KOTOBUKIYA Report. Click here. — The LEGO Report. Click here. — The MATTEL Report. Click here. — The MEZCO Report. Click here. — The NECA/WIZKIDS Report. Click here. — The NJ CROCE Report. Click here.